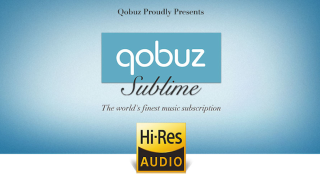 Promoted: 25% off Qobuz Sublime hybrid subscription | What Hi-Fi? If music be the food of love, wouldn’t you want to taste the very best gourmet cuisine you could? You wouldn’t put up with a fillet steak dented where the waiter held it to the plate with his thumb, so why settle for anything less than high-resolution music from Qobuz? The world’s finest music subscription, Qobuz Sublime, complete with an exclusive discount for What Hi-Fi readers, offers a huge range to stream and/or download (just click here and enter code FFC87B2E and you're good to go). With Qobuz’s Sublime subscription you can download from a massive selection of Hi-Res music – there are 35,000 Hi-Res albums in total, with up to 100 new ones added every month. This effectively constitutes the largest library of 24-Bit Hi-Res albums currently available online, and the vast majority of these fall under the Sublime offer. It’s all at the same price as MP3 downloads, too (a 30 to 60 per cent reduction on the full price). You also get unlimited streaming of True CD Quality music from their catalogue of more than 28 million tracks. And unlike with other subscription services, there’s an experiential dimension to discovering that new album or artist. Save 25% off a yearly subscription with the offer exclusive to What Hi-Fi readers – £159.99 for 12 months, a discount of £60 on the usual annual price. And if you’d like to try the Hi-Fi streaming service before you commit to a Sublime subscription, you can take a 15-day no-strings free trial.